Brian has spent the last 20+ years helping America’s entrepreneurs realize their dreams. Prior to starting his 3rd company in 2012, he was the Executive Director of Sales Development at the Wall Street Journal overseeing the financial and small business markets across the WSJ franchise. From 2002-2010, he ran Veracle Media & Moran Media Group. Both content companies utilized various media channels to help entrepreneurs manage & grow their companies. 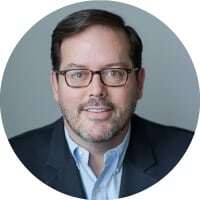 Prior to launching these two companies, he was the Associate Publisher at Inc. Magazine, a Publisher and Associate Publisher at Entrepreneur Media and held management positions at Success Magazine and Medical Economics Magazine. He currently sits on several boards of entrepreneurial organizations, including: The Small Business & Entrepreneurship Council, United Athletes Foundation, and SCORE’s National Marketing Council. His specialties include all areas, divisions and channels within the small to midsize business market. I spent 20+ years publishing magazines and newspapers for business owners. For the past six years, my company, Brian Moran & Associates, has helped entrepreneurs and business owners run better companies. Part of my job is to understand which tools and services will help my clients run better, more efficient companies that will also enable them to achieve their goals. If I’m an expert in Business Intelligence, it’s a result of many years of on-the-job training. BI for the Cloud – Millions of small business owners still use on-premise software for critical data – and many aren’t backing up their information (if they are, it’s usually to an external hard drive that sits in the same office as their original data). This is a big red flag. Data Mining/Predictive Analytics – I wrote a blog post on how Data Mining/Predictive Analytics was a lot like horse racing. One thing to remember about BI tools – they aren’t 100% guaranteed to get things right every time. As in horse racing, you still need to run the race in business every day, and things can change…on a dime! Don’t make the mistake of thinking you have a sure winner; you need to have a backup plan. Digital Dashboards/Data Cleansing – Business owners need to keep their fingers on the pulse of what is happening in their companies. A good digital dashboard, measuring the correct KPIs, will do just that. They also need to make sure they are seeing as complete a picture as possible. Cleaning up incorrect, corrupt data needs to be part of any process of examining business data. Pat Croce – Almost everything he touches turns to gold because there is NO ONE who is better at executing a plan than Pat. He also sees the big picture in life. Rieva Lesonsky – I’ve known Rieva for almost 25 years. She is one of the most respected people in media when it comes to small business. People trust her. (@Rieva on Twitter). My SMB Experts Panel – This group is passionate about helping business owners run better companies and they are really good at what they do! Norm Brodsky – He’s won, he’s lost, and he shares everything he knows about entrepreneurship with anyone who asks for help. I speak to business owners and business leaders at dozens of events every year. I am fortunate to network with very smart people. I take lots of notes and share what I learn with my followers through podcasts, blog posts and future workshops. In my world (the SMB space), the key development in the next 12 months is going to be the adoption of existing BI technology. My community can often be slow to respond to change because they have a finite amount of resources. They cannot afford to make too many mistakes with technology investments. They will lose money, and time – two things that can quickly put a solid company on the edge of going out of business. However, they cannot wait too long in the tech adoption process because customers won’t allow it. Today, customers are loyal to companies that can respond to their need for instant gratification. Tomorrow is too late, Right now is the standard, and 10-minutes ago is the category leader. I am interested in any channel that helps brands better connect with owners and key decision makers in small to midsize companies.